The adoption rate of Microsoft cloud services is increasing, but it doesn't come without a cost. 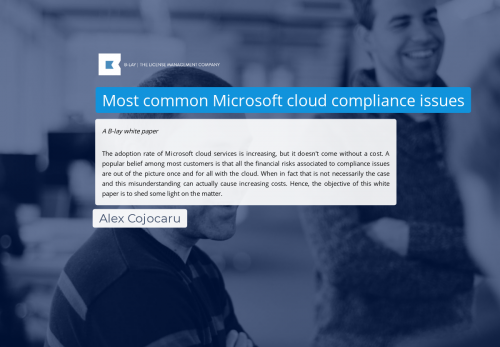 A popular belief among most customers is that all the financial risks associated to compliance issues are out of the picture once and for all with the cloud. When in fact that is not necessarily the case and this misunderstanding can actually cause increasing costs. Hence, the objective of this white paper is to shed some light on the matter.